On 5th December 1927, in Cambridge (Massachusetts), U.S.A., a baby boy was born. One of perhaps many boys born on that day, this baby boy's destiny was uniquely different and no one knew, not even his parents, just how different! The boy child was destined to become His Majesty King Bhumibol Adulyadej, Rama IX of the Royal House of Chakri, in the Kingdom of Thailand. The baby was born as Prince Bhumibol, the third child and second son to Their Highnesses Prince and Princess Mahidol of Songkla. Prince Mahidol was a son of the late King Chulalongkorn, Rama V of Siam (20 September 1853 - 23 October 1910). While studying medicine at Harvard University Princess Mahidol was also working in the medical profession. Baby Prince Bhumibol was, therefore, a grandson of King Chulalongkorn but he had an elder brother, Prince Ananda Mahidol, who would eventually take the reins of Kingship in the Kingdom of Thailand. Prince Bhumibol was never destined to be king and never would be king or so everyone assumed. How the hands of fate can change any scenario! Sadly, Prince Bhumibol's father died at an early age so Princess Mahidol, rather than residing in Thailand, took her young family to live quietly in Switzerland where they had the opportunity to enjoy a more "normal" life and receive a comprehensive education. In Thailand, political events were putting the Kingdom through difficult times; King Prajadhipok (Rama VII) was Monarch and was trying to guide his kingdom through the changes from an Absolute Monarchy to a Constitutional Monarchy. However, political clamor overtook him and, rather than sell his soul or his subjects, King Prajadhipok abdicated the Thai Throne in 1935. Immediately, Prince Bhumibol's elder brother became King Ananda Mahidol, Rama VIII of Thailand. In Switzerland, Prince Bhumibol's family lived in a private villa near Lausanne. His mother, Princess Mahidol, ensured that family life was as "ordinary" as possible. The young Prince kept company with peer group friends, enjoyed hobbies together and generally did the things boys like to do. Photography was a special interest (although initial efforts were a disappointing failure as his first exposed film came out blank!) and the young Prince did love tinkering with things repairing electric trains, model making and so on. With this aptitude for "tinkering" with items electrical and mechanical, it was no surprise when Prince Bhumibol eventually began to read Science at Lausanne University. A working "career" in that direction seemed most likely until, on 9 July 1946 in Bangkok, a thunderbolt struck the Thai Royal Household. That was the untimely death of King Ananda, Prince Bhumibol's elder brother. Prince Bhumibol, now a 19-year-old, was thrust to the fore and acceded to the Throne as H.M. King Bhumibol Adulyadej, Rama IX, of Thailand. At that time, Thailand was in a state of political and economic trauma. Japanese forces had been vanquished and expelled from the nation but the country was slow to recover from the war and its aftermath. Sensibly, the Thai Government decided that their new Sovereign, King Bhumibol, should remain in Lausanne and finish his university degree studies. A Coronation would take place later. King Bhumibol was happy to remain in Lausanne because another matter had claimed his attention and his heart! The King had fallen in love with a charming young Thai girl, also of royal lineage, called Mohm Rajawongse Sirikit. The girl became H.M. Queen Sirikit who has dedicated her life to her Sovereign Husband, family and the Thai Nation. The Coronation of H.M. King Bhumibol in mid 1950 was preceded one week earlier by the marriage of the Royal Couple. The citizens of Bangkok, and the entire nation, were beside themselves with joy and celebration at these two great Royal Ceremonies only a week apart. Pomp, pageantry and the cultural traditions of Old Siam flowed freely through the streets of the Kingdom's Capital to every corner of every province in the nation. The multitudes of people acclaimed their new Sovereign H.M. King Bhumibol, the young boy who never aspired to be King. AND SO IT HAS REMAINED! H.M. King Bhumibol is revered and adored by his subjects not simply because he is Monarch but because he has earned the respect of the nation (and also many foreign nationals who reside as guests in his Kingdom). Now the longest reigning Sovereign in the world, King Bhumibol has been a guiding light and steadying hand for his people. Many of King Bhumibol's ancestors have been hailed as Great Kings some were warriors, some were builders, some were educators and reformers. All, as Absolute Monarchs, had absolute power. As a Constitutional Monarch, King Bhumibol has no political power. He leads his people by the power of his personality, his warmth and concern for their welfare (note the numerous Royal Projects instituted by the King) and, when needs be, by exercising his "three rights" the right to encourage, the right to be consulted and the right to warn! So it is by example that His Majesty had earned the respect and homage of everyone in Thailand. Of recent weeks His Majesty has been busy welcoming various Heads of Government to the APEC conference in Bangkok plus State Visitors. Thanks to television coverage of the APEC Gala Night, we were able to see King Bhumibol, Queen Sirikit, and other members of the Royal Family, graciously receive every visiting Head of Government. Furthermore, President Vladimir Putin of Russia extended his stay in the Kingdom as a guest of H.M. King Bhumibol. This State Visit of the Russian President was fascinating since it echoed a similar visit hosted by King Bhumibol's grandfather, King Chulalongkorn, when the Tsarevitch Nicholas stayed at the Saranrom Palace, and Bang Pa-In Palace north from Bangkok. It was a reminder of the Royal House of Chakri connections with Europe and other Royal Families (King Bhumibol welcomed Queen Elizabeth and the Duke of Edinburgh on a State Visit in late 1996) and the continuance of these important links. His Majesty King Bhumibol Adulyadej, Rama IX, of the Kingdom of Thailand multi talented linguist, musician, hobby sailor, photographer, humanitarian, helper, husband, father and, above all, BELOVED MONARCH of his subjects celebrates his 76th Birthday on 5 December. Join with us at "Welcome to Chiang Mai & Chiang Rai" by paying homage to our King and wishing His Majesty a VERY HAPPY BIRTHDAY. LONG LIVE THE KING! 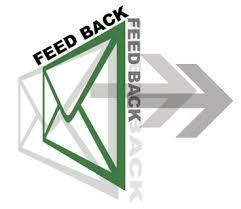 If you have suggestions please go to our feedback page.